The National Cremation Investigation – headed by Dame Elish Angiolini – published a damning report into practices at Aberdeen Crematorium last week, which revealed babies were cremated alongside unrelated adults. Council chief executive Angela Scott has vowed to produce a tell-all report that would “leave no stone unturned” on the failures at the Hazlehead crematorium next month, but devastated parents believe it will simply “cover up” what happened. 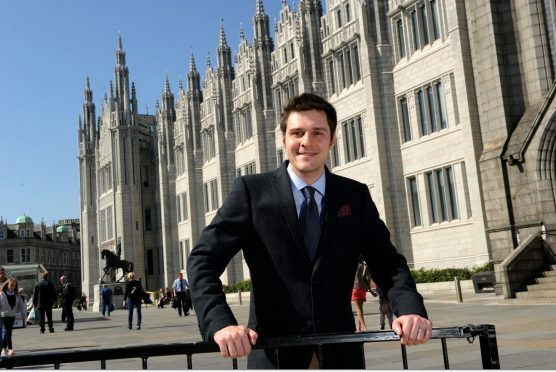 And North East MSP Ross Thomson – who is also a councillor for Hazlehead – does not believe it is enough to regain the public’s trust, and wants an independent review. Mr Thomson wants an outside expert appointed to examine “unethical and abhorrent” practices at the Hazlehead facility, along the lines of the ongoing probe into the death of Aberdeen schoolboy Bailey Gwynne. Arguing an investigation led by the head of the city council’s human resources and legal departments would not satisfy critics, the Tory MSP said: “I think there is a real issue here in terms of public confidence in the council and the operational practices at Aberdeen Crematorium. “It is right that the chief executive has apologised unreservedly to the families who have been affected by this and it is also right to learn what lessons we can from previous failings. “However, Dame Elish’s report highlight a clear breakdown between senior management at the council and those in charge of running the crematorium at Hazlehead. “So far, only one person, the former crematorium manager, has lost his job. I think the public expect a greater degree of accountability at a higher level. He also called for the council’s urgent business committee to be convened to discuss the matter during the summer recess. An Aberdeen City Council spokeswoman said it was seeking to act swiftly on Dame Elish’s findings and recommendations – which it accepted in full – “in order to minimise any further distress to parents and families directly affected and provide public reassurance”. Mrs Scott has made an unreserved apology to all families affected.